The Magic Flute is an opera for young audiences and young singers. It was particularly true tonight in the special performance featuring artists from COC Ensemble Studio. The popular pricing also meant the house had a larger number of young people than usual. There was a special energy and a sense of occasion that made the evening an exciting one. The whimsical, light-hearted production was well received, judging by the frequent and spontaneous eruptions of laughter and cheers. But best of all, the artists of the Ensemble Studio collectively rose to the occasion and gave a truly superlative performance that should make all Canadian opera lovers proud that we have such talent in our midst. It won't be easy to single out every outstanding performance in an evening full of standouts. Top honours go to the two principals, soprano Simone Osborne as Pamina and Christopher Enns as Tamino. The BC soprano is considered a rising star on the operatic firmament, and she did not disappoint. 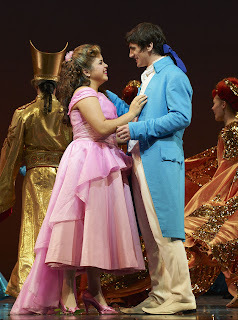 Looking like a cute teenager, Osborne made an endearing Pamina and sang with warm and attractive tone. She also observed Mozart's markings in 'Ach, ich fuhl's.' 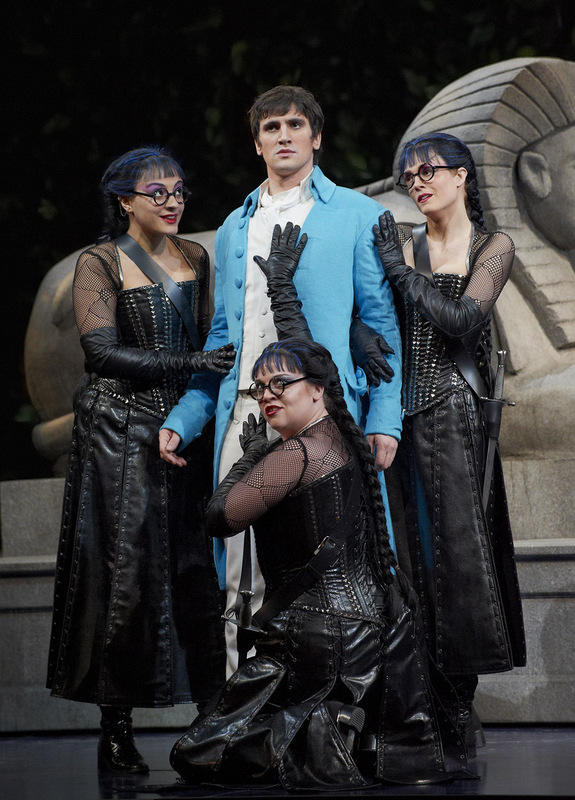 The role of Tamino is a good fit for Christopher Enns, in his first major assignment - first of all, how often does one come across a Tamino who actually looks princely? His bright, clear and sweet timbre is ideal in Mozart, and he has the volume to fill the Four Seasons Centre. 'Dies Bildnis' was taken at a rather slow tempo but it didn't faze him, singing with rich, mellifluous tone. The Flute Aria, with its higher tessitura, was not ideally free but he coped well. If he continues to work on his vocal technique with an eye towards developing a freer top register and in particular a firmer mezza voce, especially in the passaggio, he will have a bright future indeed. Papageno is Mozart's gift to the lyric baritone, and Guelph native Adrian Kramer is born to sing this role. His beautiful, compact voice and lively, ingratiating stage persona made him an audience favourite last evening and a perfect Birdcatcher, just a little bit short on volume and projection notwithstanding. 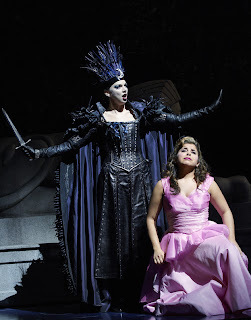 He had excellent chemistry with his Papagena, nicely sung and acted by soprano Jacqueline Woodley. Perhaps the loudest ovations of the evening were reserved for the Queen of the Night, sung by Canadian coloratura Ambur Braid. Is there another role in opera where the singer sings less and earn more applause than the Queen? Braid's powerful top and outstanding agility were impressive of course, but what was unexpected was the full-bodied middle and lower registers she displayed in the adagio section of 'O zittre nicht,' very unusual for a high soprano. Under the expert direction of Diana Paulus, the Three Ladies (Ileana Montalbetti, Wallis Giunta and Rihab Cheib) were genuinely funny, and their voices blended very well. Former ensemble tenor Michael Barrett was a very effective and well sung Monostatos, for once not made up into a black villain. Bass Michael Uloth (Sarastro) sang the best I've heard him, and bass-baritone Neil Craighead made the best of his brief moments in the sun. The Magic Flute is a long show, and with the expanded dialogue, it came in just under three hours. Unlike some Flute productions I've seen in recent years, there was no attempt here to camouflage the rather misogynistic text which is really rather problematic given the 21st century sensibilities. Yes, there were some snickering in the audience but that was all. Despite the long evening, the energy and enthusiasm exhibited by the cast made it seem almost short. Given the singers are non German speakers, the dialogue was a challenge but they did surprisingly well, likely due to the efforts of the COC language coach. COC Music Director Johannes Debus led the COC Orchestra with a knowing hand, drawing rich yet transparent sounds from the pit. The male chorus under chorus master Sandra Horst was particularly impressive. This was my second go at this production, having already seen opening night. I found that tonight I discovered more details of the really lovely set I had missed last time, and in particular the nuances in the stage direction. I will see it for a third (!) time this Sunday (to hear Quebec tenor Frederic Antoun) and I'm sure I will discover something new yet again. 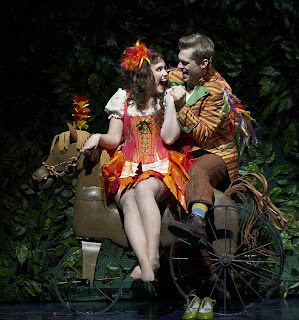 Like a great book or painting, The Magic Flute never loses its appeal.